It looks like the Once Upon A Time In Wonderland gang visits Storybrooke in the March 17 episode of the spin-off series. It also appears from the description that Cora (Barbara Hershey) is lurking in this episode. 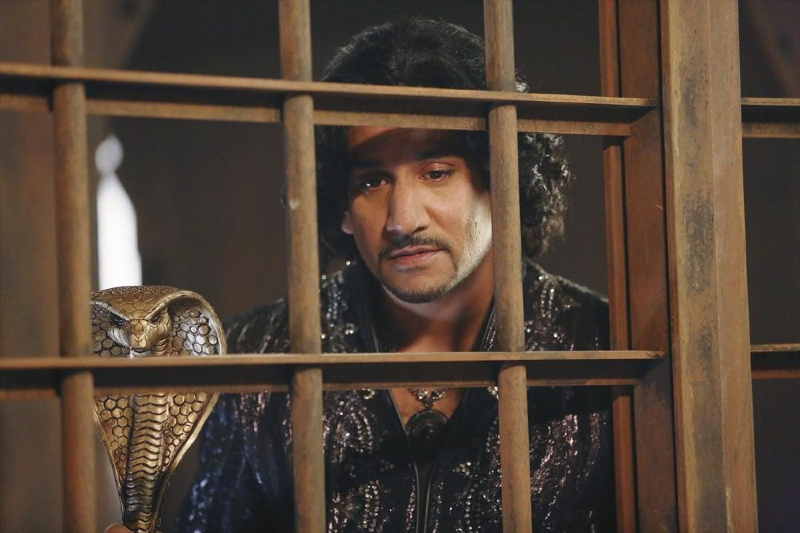 “Heart of the Matter” – Alice and Cyrus discover alarming information involving prisoners Jafar has under his control and changes their priorities. Meanwhile, the Red Queen is in critical danger and no one can help her except the Knave by surrendering information to Jafar that he’s been desperately seeking. In flashback, Anastasia is about to marry the King and strikes up a friendship with Cora that directly impacts Will. Cora also confronts Will resulting with him asking her for a shocking demand, on “Once Upon a Time in Wonderland,” THURSDAY, MARCH 20 (8:00-9:00 p.m., ET) on the ABC Television Network. “Heart of the Matter” guest stars include Iggy Pop as the voice of the Caterpillar, Trevor Lerner as Burly Guy, Matty Finochio as Tweedle #1, Ben Cotton as Tweedle #2, Peta Sergeant as Jabberwocky, Brian George as Old Prisoner, Barbara Hershey as Cora and Michael Jonsson as King’s Guard.